Why waste time recreating the wheel, every time if you are doing repetitive tasks and responses? You are too busy to be wasting your time doing the same work over and over. Using templates is one of those time management tips from the best of the best. They create templates for emails, frequently asked questions, text messages, intake forms and more. Of course, not all of what you are doing is repetitive but if you look closely there is a part of your work that does occur over and over. You have to invest some time to look for the patterns. Create templates will simplify your work process and enable you to spend more time on the more challenging parts of what you do. A big reason templates improve productivity is because you do not have to keep creating the original skeleton. By creating a template it frees you to insert original information without worrying about the structure. Here are some ways templates help you get more things done. I have seen these productivity leaks that result from missed data transfer. It majorly slows down the order process. In addition, these back and forth clarifications cause major frustrations all parties in the back and forth. This is another productivity killer as this frustration eats away at motivation. Speed is achieved through accurate and timely communication. Missed information is like a wrench in the system. It brings the system to a halt until it is fixed. Also, Like data entry, the more you do an activity, the faster you become. Templates allow you to develop muscle memory, and in some way, function on auto-pilot. By training your muscles to press certain keys or check certain boxes, your productivity will increase significantly. As you make more templates, you will also become faster at creating the original content for the template. These templates can be shared with your company, and a standardized system can be put into place, which will speed up replies and approvals. Templates allow for more succinct messaging and even eliminating the need for text and simply offering a check box or circling an option available. The speed for order taking increases significantly from both the side of the person filling out the order and those that receive the order for processing. Simplify your templates and improve your speed and accuracy. Throughout your company, each department may have different ways of presenting information. This can hinder your company’s reputation, communication and ability to send a consistent message. By using templates, your business will look, and sound, and function like a well-oiled machine. All parts working together. Critical links, messages, and signatures can be easily found by clients, or other departments, because they will have a specific location on the page. Proper Branding lets the company create an image and be seen as a cohesive whole across the organization despite the department. Fewer words make for clearer communication. When your business has clearer communication you can negotiate deals, understand each other’s needs, increase morale, and work towards the same goals faster and easier. Using templates are the best productivity tip for immediate results. Templates are an excellent way to save time by reducing repetitive work and streamlining your workflow. Creating templates is a time management skill you need to embrace. Here are five great resources for every template you may need. Use an abbreviation or quick search to insert paragraphs of text from a repository of text responses, emails, and other content, as you type. Provides excellent templates for posters, Facebook covers, book covers, and business cards. Excellent for free templates across various personal and professional topics. Excellent for resume templates. Ranging from free to $9.95. This blog will give you 25 fantastic website design templates. This website offers 40 links to many different templates to improve productivity. You can find templates for “project management, business planning, and projections, invoicing and other finances, presentations, marketing and sales, and personal organization”, says sitepoint. Microsoft Word comes with personal and business templates, ranging from notetaking, flyers, and brochures. You can try templates with the following steps: File > New > “Describe the needed template” > Download. You can also download some from the internet. One of the biggest reasons people don’t create templates is they say they don’t have the time. You have to invest time now to save time in the long run. Why not use time boxing to box time, specifically schedule time dedicated to this task. This is also known as Time Blocking. If you don’t plan time for it, it won’t happen. Time boxing will create the space for what is important in the long run and help you be proactive in your time management and productivity efforts. Good luck with your templates. When you implement them, you will discover all the ways they can increase productivity in your business. For those looking for time management tips, time tracking is a top time management tip. Tracking your time is an effective tool in creating awareness where you spend your time. Like tracking what you eat, sometimes we don’t realize how many calories we are eating until we actually track it. That is why tracking is an important part of the weight loss process. So as it relates to our time, awareness not only gives you a clear realistic view of where you are spending your time but also makes you think twice about what you are doing with your time. Tracking influences your behavior. Often we behave differently when we are being watched, even if we are watching ourselves. In addition to awareness, time tracking can help to keep us on task when we integrate it as part of a more systematic time blocking system. In order to help you find the right tool for tracking your time, I have included some of the time tracking tools I have experimented with. I like using a tool for this purpose because of the reports that are generated from the data collected. Keep in mind pen and paper is also a fine alternative and keeps you in control of how and what you are tracking. There is also no lead time in figuring our how to use a new system. You don’t have to remember to press the record button you just need to set up a consistent way of collecting the data and set a side time to capture and review the data. If you are working together in a team, I do recommend the electronic version of tools that support team views because of the automation of reporting inherent within electronic data capture and other automated workflow options. If you aren’t prepared to make time to review the results, you are not ready to bother tracking it. Time management tips include if you aren’t going to do it right, don’t do it at all. There are so many tools available; here are 7 that I felt were noteworthy. This app requires input from you to enter what you’re working on and start and stop the timer. The benefit to this is the flexibility of coding your activities and then being able to create customized reporting on where your time is being spent or wasted. Toggl integrates with many other apps opening up process automation capabilities. The desktop version offer the most flexibility and power. Price: Free version or pro for $10/month. Platform: Apple, Android, and Desktop. Recue Time tracks minutes spent on various sites or applications to see and block any challenges with problem sites such as Facebook or email overdoses. The program runs in the background on your computer or mobile device, so once you start it you really don’t need to think about it anymore. The premium version gives you more flexibility to add categories for offline time or to refine accuracy. Price: Free version or premium for $9/month. This is a simple free to set up projects and project timers to just clock and start tracking. I like the simple tap option for the preset timers. This free app lets you track everything personal and professional by tapping on your phone to start or stop each activity. It makes it really easy to track the days activities and task categories. It then produces a visual report at the end of the day. Simple to use. This tool is great for teams. The syntax functions with many of the common @Projectname # allow a simple single line entry to tag and track time. The benefit of this time tracking is it integrates into several project management tools such as Asana, basecamp, Pivotal and Github and offers more functions like estimated time to complete. More great features include integrations will billing tools. Scheduling and time tracking features for work and personal activities. Keep yourself on track by scheduling and then following up with your schedule. 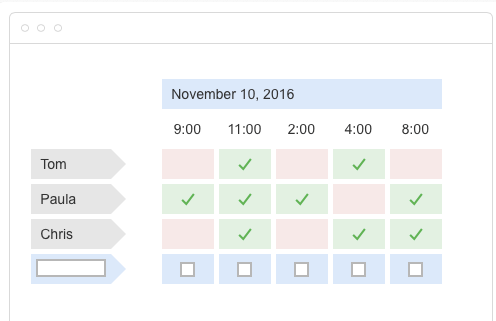 Plan blocks and log your hours simultaneously. It doesn’t allow you to schedule according to the calendar just the hours. Depending on how you work this could be a duplication of effort or not optimizing the calendar view making it less inituive. I do like that it resembles the form of time blocking. There are lots of options for tracking and tools such as Zapier and IFTT will allow you to automate next steps with integration into other tools. Before picking an app, review your process, what you want to collect and why and then look for tools that will fit what you are looking for. The best time tracking app is the one you’ll actually use, so be sure to experiment with these and others and find one that fits your needs best. Thus far you have read several articles about ways in which to improve your productivity. I have yet another productivity tool to add to your arsenal. Some of you may be under the impression that journaling is only for angry, young teenage girls, but that is quite the contrary. Journaling has many of benefits that you can use to improve productivity and improve the overall quality of your life. Journaling dramatically reduces stress and negative energy. Through journaling you can release pent-up anger and other emotions or thoughts. Negative energy has an adverse effect on your productivity. You may still be thinking about how Jill again drank the last of the coffee and did not brew a fresh pot in the employee lounge, instead of your project. Writing down your thoughts and feelings allows you to become more grounded and focused on any task that comes your way. You are better able to zero in (focus) on the best route to take to complete a task or project. Did you know you can conquer half of the battle in improving productivity by simply imagining your success? Journaling can help you visualize how you would like things to turn out. It’s like a mental program for the brain. You place the order for success in your unconscious mind by visualizing and the conscious mind makes it happen. Have you ever had one of those days where you could accomplish nothing because you were thinking about everything? Journaling helps you dump that brain clutter so that your mind will be clear and ready for the work ahead. Free-flow writing and journaling opens the door for massive creativity. This is proven to work even in people who do not believe themselves to be creative. Through journaling you are expressing and through expression comes inspiration. Now that you dumped of all that clutter, your mind is better equipped to solve problems that may have been nagging you before. Journaling allows you focus on the solution rather than the problem itself. If pen and paper aren’t your thing, try a journaling app that you can use on the go anytime, anywhere! There are dozens and dozens of Journaling apps available on the market. Find one with features that best suit your lifestyle and needs. You will begin to see immediate and drastic results from taking at least ten to fifteen minutes a day to journal. Before you know it, the path to a more productive future will be well within your reach!